BJP has traditionally been strong in Western UP with an average vote share of 34 percent since 1991 against SP’s 29 percent and BSP’s 21 percent. 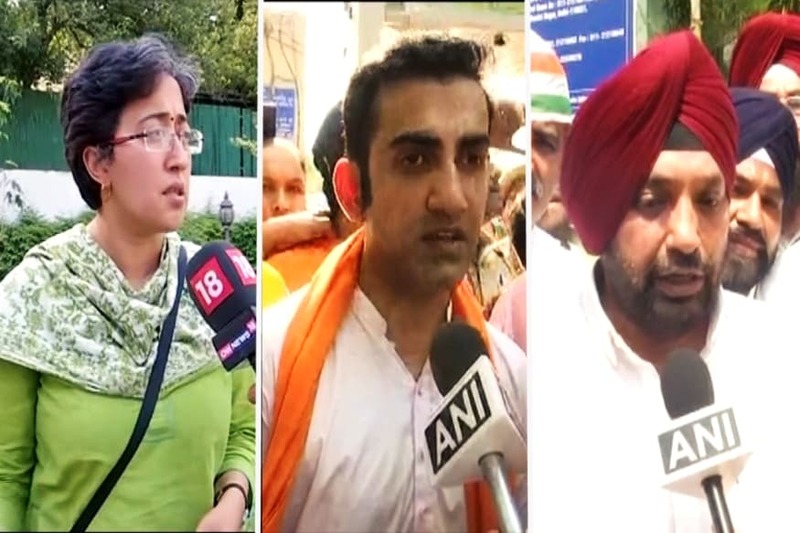 New Delhi: As the country goes to polls for 17th Lok Sabha in less than a month from now, a number of alliances are being forged and strategies are being worked on. Amid this backdrop, Uttar Pradesh, which sends the most number of legislators to Parliament, is expected to witness one of the most interesting contests. The Samajwadi Party and the Bahujan Samaj Party announced an alliance in January this year to take on the ruling BJP-led National Democratic Alliance. Left out of the SP-BSP alliance, the Congress has geared up to go alone in UP, making it a three-cornered fight. In 2014, the NDA had registered a landslide victory in the state, winning 71 seats and 42.6 % of the votes, which propelled it to an absolute majority at the Centre. In the Assembly elections of 2017, the BJP gathered 312 seats and 40% of the votes in the 403-seat Assembly. Now, with a newly forged opposition alliance in place, will the post-poll scenario in UP be different this time around? It should be noted that Uttar Pradesh, due to its sheer size, can be broken down in five separate regions for a detailed analysis of each one of them. These are: western UP, Rohilkhand, Bundelkhand, Awadh and Purvanchal. The first part of the series ‘How Uttar Pradesh Votes’ will focus on Western UP. 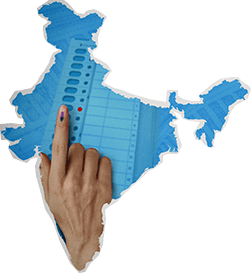 Polls in the politically crucial UP will be conducted in seven phases beginning April 11 and western constituencies will be the first ones to vote. The region consists of 20 Lok Sabha seats in total. These are Agra, Aligarh, Amroha, Baghpat, Bijnor, Bulandshahr, Etah, Etawah, Fatehpur Sikri, Firozabad, Gautam Budh Nagar, Ghaziabad, Hathras, Kairana, Mainpuri, Mathura, Meerut, Muzaffarnagar, Nagina and Saharanpur. The BJP has traditionally been strong in this region. The party on an average has had a vote share of 34% in west UP since 1991. Compared to other major players, this is more than the SP’s 29% (between 1996 and 2014) and BSP’s 21%. As Ajit Singh’s Rashtriya Lok Dal (RLD) is limited to specific seats and the Congress is weak in this region, their vote-share was not taken into account while making comparisons. Apart from Mainpuri and Firozabad, both Yadav strongholds, the BJP had won all the seats in this region in 2014 with 47.53% of the votes, significantly higher than its overall vote-share in the state. In 2017 Assembly elections too, the party had won 83 of the 100 Assembly seats that fall in western UP. In a 2018 study on the BJP’s success in UP, Sudha Pai and Avinash Kumar, professors at JNU, attributed the party’s performance on its consolidation of the Hindu votes. “It [BJP] penetrated deep into the backward and Dalit base of the two well-established and strong identity-based parties, the SP and the BSP... the party cadres, following a different path, employed communal strategies–used at times by Modi himself–to create a broad Hindu vote bank encompassing the upper castes, the backwards, and also the Dalits,” the study explained. In a region as polarised as west UP, the strategy could have even had a broader impact. Caste is the engine that runs India, and in Uttar Pradesh this engine propels the regional politics. West UP predominantly comprises Jats, Muslims and Dalits. Out of its 20 seats, Muslims have a population of over 25% in at least seven of them. Sanjay Kumar, director at Centre for Studies of Developing Societies, a political research organisation, said that Jats who remained sharply polarised in favour of Ajit Singh’s RLD for a very long time have shifted towards the BJP in the last couple of elections, while Muslims have never voted for the BJP. “When I say never, it means BJP normally gets 2-3 per cent of Muslim votes but that is about the candidate and not the party,” Kumar said. In light of this, assuming that the Muslim vote more or less remained with the SP, BSP, RLD or Congress, BJP’s victory can largely be credited to the party’s success in gathering the lower caste votes on top of its traditional upper-caste vote-base. A 2014 post-poll analysis by Lokniti, a political research organisation based in Delhi, confirmed this consolidation of votes. According to the study, BJP, in 2014, gained substantial votes from all caste groups in comparison to the 2009 elections — over 70% of the Brahmins and other upper castes, 60% per cent of the OBCs, 53 per cent of the Kurmis, and 45 per cent of the other Dalits–cutting into the vote share of all parties. Given a substantial Dalit population, six of the 17 Scheduled Caste reserved seats are in western UP. These are Agra, Bijnor, Bulandshahr, Etawah, Hathras, and Nagina. Therefore, as the current arrangement stands within the SP-BSP-RLD alliance, the BSP, while contesting 10 of the total 20 seats in the region, will field candidates in Agra, Bijnor, Bulandshahr, and Nagina. The SP will contest on the remaining two seats. Interestingly, the BSP, which claims to be a party championing the cause of the Dalits has never won three of these seats and the last time it had won the fourth, it was way back in 1989 when Mayawati was elected from Bijnor, marking her first entry into Parliament. It is, however, worth noting that Agra, Bulandshahr and Nagina were reserved after delimitation in 2008. The SP, on the other hand, had won Etawah in 2009. Although, it has never won Hathras. Badri Narayan Tiwari, professor of social history and cultural anthropology, explained the BSP's dismal performance in reserved seats. “Non-Dalits, not Dalits, hold the key to reserved seats,” Tiwari said, highlighting the voting behaviour in SC seats. Of the 20 Lok Sabha seats in western UP, 19 are either rural or semi-urban with an only exception of Agra, which is an urban constituency. While the BJP had swept the region in 2014, the geographical area was much more divided politically in 2009. Among the 10 rural constituencies, the RLD had bagged four, SP had won three, and BSP had won two in 2009. One rural seat was won by an Independent candidate. Additionally, the BSP had secured four, SP had won two, BJP had won two and RLD had secured one seat of the nine semi-urban seats. The lone urban seat had gone to the BJP as well. The rural-urban classification of constituencies gains significance given that farm distress is expected to be a major issue in the upcoming polls. In a 2018 survey by Association for Democratic Reforms (ADR), an organisation in the field of political research, respondents in UP termed issues of ‘Agricultural loan availability’, ‘Electricity for agriculture’, and ‘better employment opportunities’ as their top priorities. The respondents also rated the state BJP government’s performance as ‘below average’ on these three and 14 other issues mentioned in the survey, which includes ‘law and order’, and ‘better roads’. Sanjay Kumar believes that Farm distress could play a major role in the upcoming elections in Western UP or the entire state much more than any other region in the country. “See, if in a state, even though there is farm distress and people are looking for change but if they don't see an alternative, some of those voters who may have wanted not to vote for the BJP may still vote for BJP. But it's not the case in Western UP. There people see an alternative,” Kumar said. “Other factor is that this is the region where large proportion of people are politically very polarised, aware, active and livelihood of large number of them also depends on agriculture,” he added. Communal violence has continued to dot UP’s landscape over the years. Between 2011 and 2017, nearly 22% of the total riots in the country, happened in UP, which was the highest among all the states. At least 84 riots occurred in the state in 2011, which increased to 118 riots in 2012, 247 riots in 2013, 133 riots in 2014, 155 riots in 2015, 162 riots in 2016, and 195 riots in 2017, according to a Rajya Sabha response by the Ministry of Home Affairs. In 2013, western UP felt the heat of communal riots in Muzaffarnagar. The riots claimed nearly 62 lives and lead to the displacement of more than 50,000 people. The impact of religious polarisation in Muzaffarnagar became visible in 2014 elections where booth level voting data suggests that villages and areas falling under a booth voted sharply one way or the other. In majority of the booths, the winning party—in this case the BJP—gathered a very high vote-share, often in excess of 90 per cent. Due to this, along with the ‘Modi wave’, Muzaffarnagar registered the fifth highest winning margin across the state—higher than even Varanasi, from where Narendra Modi himself contested. Similar, high margins could be seen in its neighbouring constituencies. Winning margin in Muzaffarnagar was bettered only by Mainpuri, Rae Bareli, Bulandshahr, and Ghaziabad. Bulandshahr is also the place which witnessed violence in December last year where two people died, including a police inspector. While a simple summation of vote-shares of the SP, BSP and RLD in 2014 puts the alliance in advantage in a majority of seats, a closer look at the vote-swing in the most recent by-poll in the region gives a better idea of a possible post-poll situation. The Kairana constituency was won by the BJP's Hukum Singh in 2014, which eventually fell vacant after his death and a by-poll was held for the seat in May last year. BJP had won the seat in 2014 with 50.6 per cent of the votes, while the combined vote share of the parties in alliance now (SP, BSP, and RLD) was 47.5 per cent. Hence, a winning margin of 3.1 per cent for the BJP. During the bypoll, when Tabassum Begum of RLD—backed by the SP, BSP, and Congress—wrested the seat from the BJP with 51.49 per cent of the total votes. BJP candidate Mriganka Singh received 46.72 per cent of votes. This indicates that while the BJP lost 3.88 per cent of its votes, the opposition gained 3.99 per cent of votes making it nearly 4 per cent of vote-swing in the favour of the opposition. If a similar vote-swing and direct transfer of votes holds for the mahagathbandhan in the upcoming polls in Kairana, and is reflected in the 20 seats of the region as a whole, the alliance may make significant gains. Whether voting trends or behaviour in Western UP remain different than the rest of the state depends almost entirely on the demographics of the region as already discussed. Voting pattern in Western UP is not very different from the overall trends of the state except for the fact that the region has a significant Jat population. This segment, Kumar argues, can be targeted as a separate vote-bank. This vote-bank, from being strongly behind RLD has shifted its allegiance to the BJP and could again move back. The presence of a fourth-player in the name of Ajit Singh’s RLD due to Jat population makes West UP slightly different from the rest of Uttar Pradesh.